Every time we go to our favorite Mexican restaurant, we have to get a tall glass of ice cold horchata, a refreshing milky drink made with rice and cinnamon. Horchata can be time consuming to make, as the rice needs to be soaked. Soaking gives the rice grains a head start in cooking and yields a better flavor and texture. The rice for horchata is normally soaked for 3-24 hours. Then the thought came to me - if beans can be quick pressure soaked, why not rice? 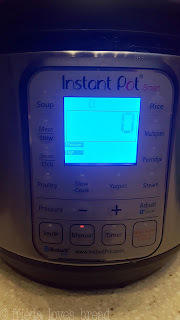 I experimented with a couple of cook times using my Instant Pot pressure cooker. Cooking too long produced a thick sludge, which my son remarked that he was 'chewing' his drink. White long grain rice is normally used for making authentic horchata, but you can use any rice that you want. A brown rice will give you a nutty flavor, and may need a slightly longer quick-soak time. I used inexpensive (Western Family Enriched) long grain white rice for this recipe. *UPDATE* I used a long grain brown rice with a longer cook/npr time, and it is now our favorite version! 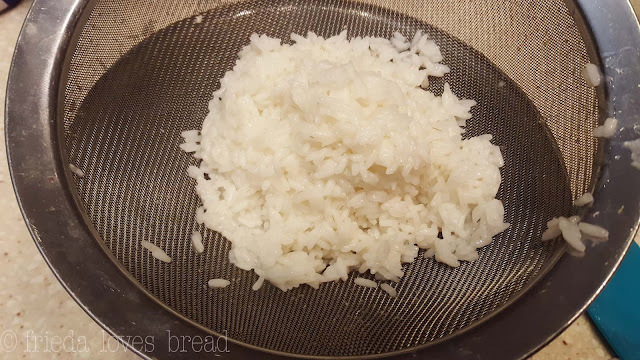 A reader tried Basmati rice, and it was cooked through with the 0/5 min npr time. If using Basmati, you may want to try a 0/quick release time. 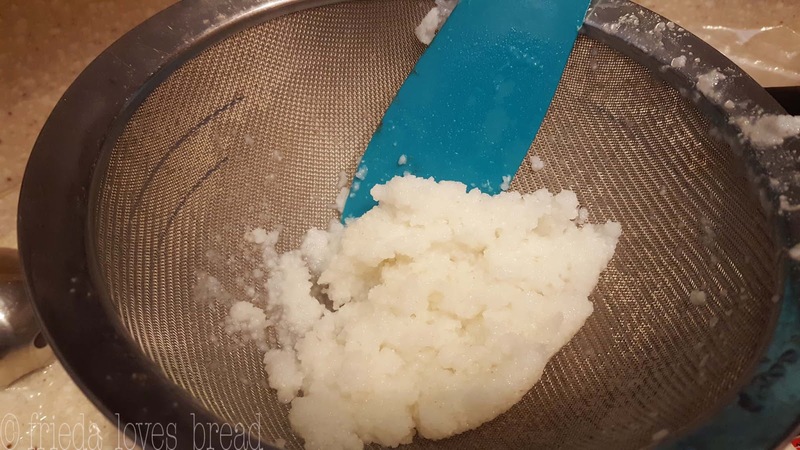 Another reader used a medium grain white rice with the 0/quick release and it worked well. Hubby commented, "Now, that's the kind of horchata you would get at a restaurant!" Oldest son's comment? "I only go to certain Mexican restaurants for their horchata - I would definitely get this one. 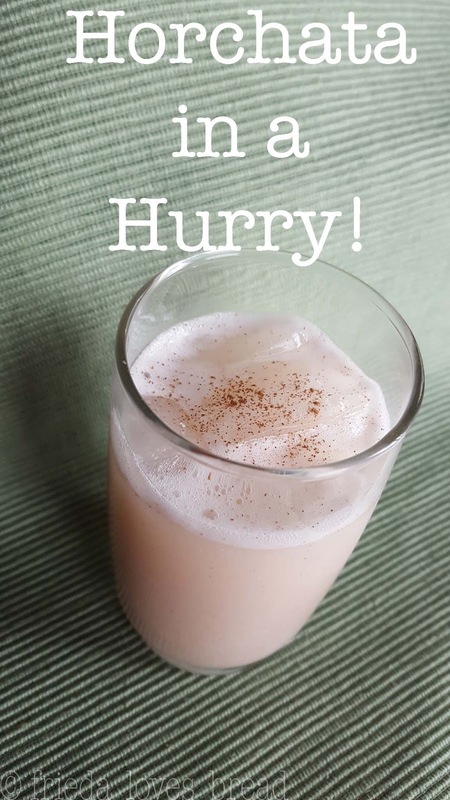 It has a different flavor than the traditional horchata, but this is very, very good!" Brown rice cook times are added in the recipe below. 1. First, you will want to rinse your rice. Why? 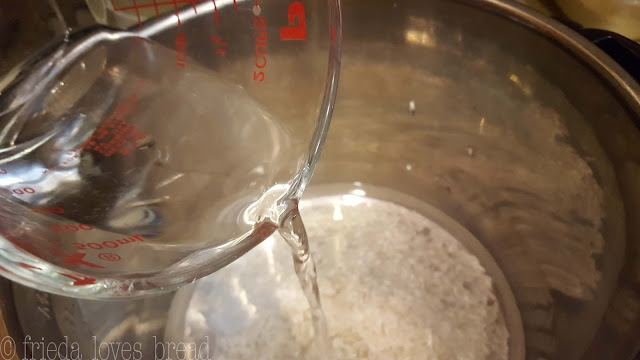 Rinsing rice is good for most long and medium grain rice, as it removes the starches on the surface, prevents clumping, and gives you a better, cleaner taste. The nutrient loss is minimal and you will avoid a "gluey" taste when you rinse your rice. Simply add water to your rice, swish the grains with your fingers, and drain the milky looking water. Repeat this step 3 or 4 times, until the water looks clear. 2. Strain the water from your rinsed rice with a super fine mesh strainer. 3. Put your rice into your pressure cooker with cool water. If you have access to cinnamon sticks, or even better, Canela Mexican cinnamon, put it in to cook with your rice. Canela cinnamon is milder than other varieties of cinnamon. I added powdered cinnamon later on in the recipe. 4. Cover your pressure cooker, close the pressure valve, select High pressure and set the time to ZERO. Yep. Zero. The cooker will still heat up, and beep when the pressure cooker reaches pressure. Allow the pressure to release naturally by leaving the cooker alone for 5 minutes. 5. Open the pressure release, and pour the rice into a fine mesh strainer, as there may be some water left. 6. Combine 1 cup of your water (or milk, if you want a creamier texture), rice, and blend. You can use a stand blender or an immersion blender. 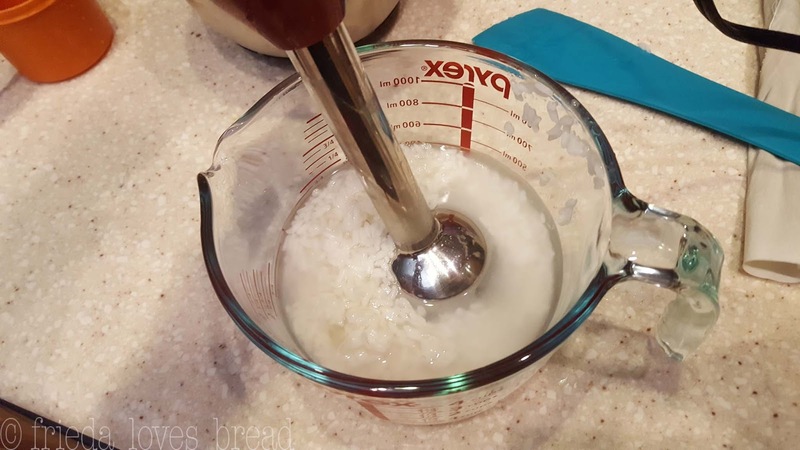 I find that the stand blender does a better job of blending the rice than the immersion blender - especially if you have a powerful one - but either one will work. 7. Add the rest of water, milk or combo of both. 8. Strain your mixture over a large bowl or 8 cup measure. Push the rice through the strainer with a spatula until you cannot see any liquid coming through. Scrape any rice off the outside of the strainer to your horchata milk. What to do with the leftover rice? Make rice pudding! 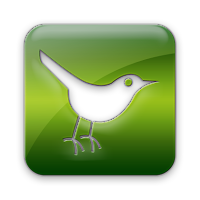 If you don't have a fine mesh strainer, you can use a clean, cotton pillowcase or t-shirt. You can use cheesecloth, but you will need to use at least 3-4 layers. A tea towel will work, as well. You can pick up the corners of the material and squeeze any remaining liquid from the rice. 9. Add sugar, vanilla and cinnamon, blending well. I love to use Pure Vanilla Extract, and this is something that you can make in a hurry with your pressure cooker! 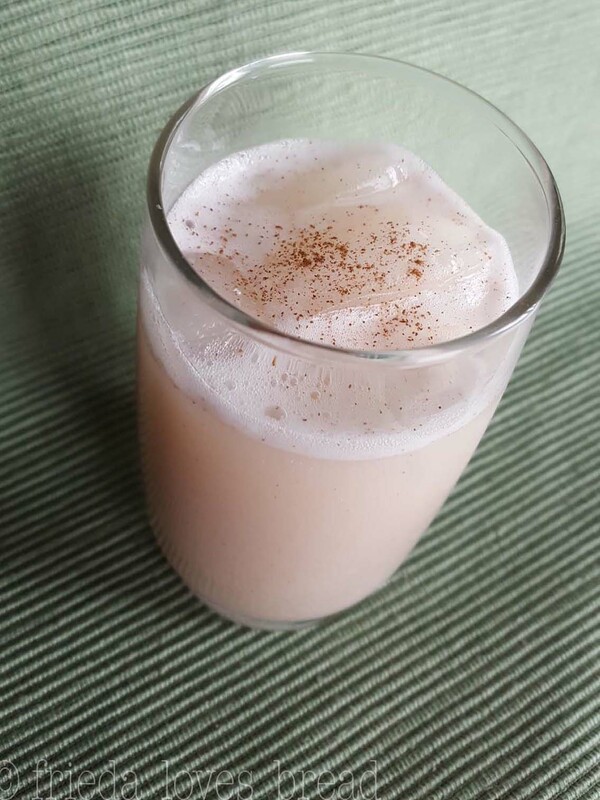 You can serve this horchata right away over ice, for a refreshing sweet treat. 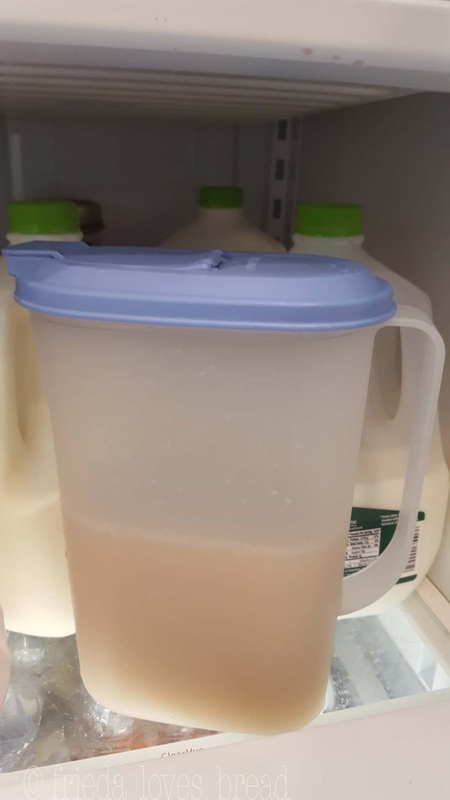 Store any remaining horchata in a container with a well fitting lid, as it will separate, and you will want to shake it or mix it very well before serving. This recipe will make 5 cups of very yummy horchata. You can definitely double the recipe without changing the cook times. You can use water, milk, or any combo. You can use whole milk, evaporated milk, or some sweetened condensed milk (reduce the sugar if using sweetened condensed milk). You can use any sweetener of your choice: sugar, a simple syrup (1:1 water:sugar cooked till sugar is dissolved), agave nectar, stevia, or warmed honey. I was able to make this horchata start to finish, in 30 minutes. I think you should give it a try! Enjoy a tall, refreshing glass of this sweet milky drink, with a touch of cinnamon, found at many Mexican restaurants. This recipe cuts down the long soaking time that it take for rice to soften and make this a creamy drink. 4 cups of milk, or combo of milk and water. Milk will give you a creamier texture. My favorite combo is to use 2 cups milk, 2 cups water. 1. Put the rinsed rice in the pressure cooker. Add the one cup water, stir to make sure rice is covered.2. Close the pressure cooker and the pressure valve.3. For WHITE rice, select HIGH pressure for ZERO minutes. For BROWN rice, select HIGH pressure for 10 minutes. 4.When the cook cycle ends, allow a natural pressure release: WHITE RICE=5 minutes BROWN RICE=10 minutes. 5. 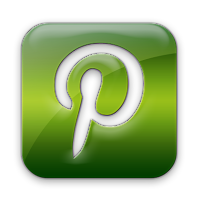 Open the pressure valve, in short spurts, till you can open it fully. 6. 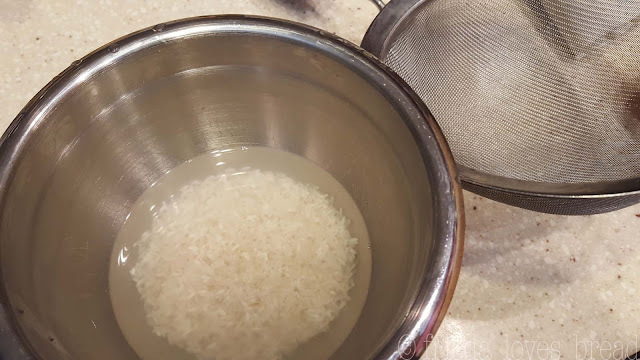 Strain the water from the rice using a fine mesh strainer. 7. Add 1 cup of the milk to the rice and blend, using a stand blender or immersion blender. Add the rest of the milk (or water), blend well.8. Strain the rice/milk mixture through a fine mesh strainer, pushing the rice through with a spatula. Scrape off any of the thick rice off the outside of the strainer and put back into the milk mixture.9. Add sugar, vanilla and cinnamon. Blend well. Chill & serve over ice. Combine the rice and water. Bring to a boil and boil for 5 minutes. For Brown rice, boil for 15 minutes. Combine milk, rice, and blend together. Strain through several layers of cheesecloth or fine mesh strainer. Add sugar, vanilla extract and cinnamon. Blend well.